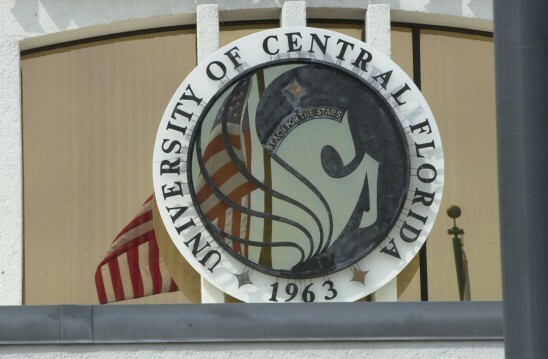 The Florida Board of Governors today recommended that the University of Central Florida receive $2.6 million in additional funding for its performance meeting new statewide priorities. UCF ranked first, along with the University of South Florida, among the state’s public universities. UCF is the largest university in the state, and USF is among the largest. The percentage of students who earn a bachelor’s degree and then either have a job or are continuing their education one year after graduation. The median average full-time wages of graduates employed in Florida one year after graduation. The average cost to the institution of educating an undergraduate. The Princeton Review and Kiplinger magazine rank a UCF education as one of the best academic buys in the nation. Data show that the percentage of UCF students who graduate with debt, and their debt load, are below national averages. UCF is also productive and efficient. In 2012-13, the university awarded more than 15,000 degrees, more than any other state institution. UCF did so while spending nearly 40 percent less than the state average on administrative costs.